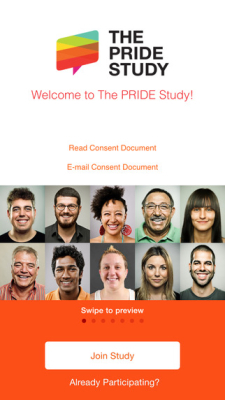 A pair of researchers at the University of California – San Francisco are leading an important new study to better understand the health needs of LGBTQ patients leveraging Apple’s ResearchKit. 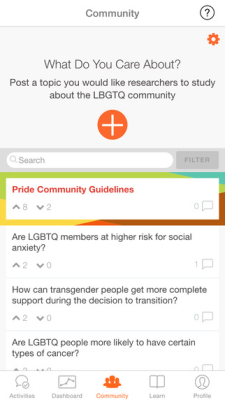 Dr. Juno Obedin-Maliver & Dr. Mitchell R. Lunn have launched the PRIDE Study which will recruit a national cohort of LGBTQ patients and follow them longitudinally entirely through the PRIDE app. Participants will get a baseline health questionnaire followed by surveys delivered annually. Subsets of enrolled patients will also be asked to complete surveys on specific health topics. 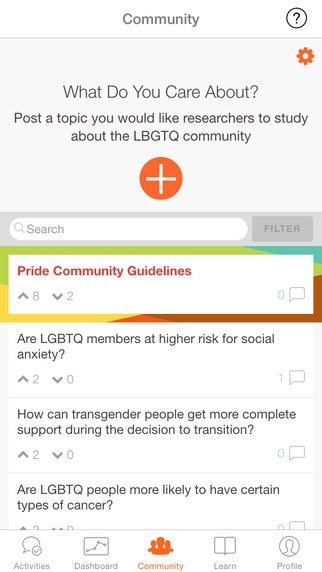 For now, the study is restricted to iOS users, though there are plans to develop a web-interface to broaden the options available to potential participants. They are in the cloud. They are on-premise. They have features for sales and opportunity management, marketing, calendaring and email. They can be integrated with other systems. They can talk to social media outlets. They can be accessed from your iPhone…a CRM system is nothing more than a database, wherever it’s located. Good sales managers know this…They need reports on their pipeline, open quotes, new opportunities, recent activities and lost sales…But without these reports their CRM system would be worthless. Effectively, these are companies that specialize in collecting and analyzing data. And the technical features of what they and the UCSF team have put together are impressive. Patients are engaged using an automated system that connects with them via e-mail, SMS, and phone. They are also integrated with a number of third-party platforms including “Qualtrics (survey administration), Twilio (SMS processing), SmartyStreets (United States Postal Service mailing address verification), and SendGrid (e-mail infrastructure) to facilitate easy participation and seamless information processing and verification to ensure clean data.” Data is also being hosted by Salesforce in a secure and HIPAA compliant manner. • What are the primary factors influencing cardiovascular disease morbidity and mortality in the SGM population? • Among SGM people eligible for HIV infection pre-exposure prophylaxis (PrEP), what are the barriers to starting PrEP? • What affects health resilience in the SGM population? • How does perceived stress (or conversely, flourishing) vary within the SGM population? What contributes to it? • Within the SGM population, are particular groups (e.g., African-American lesbians) at differential risk for specific cancers? What is the 5-year survival (compared to national registries)? • What are the differential levels and sources of stigma within the SGM population? How does stigma correlate with physical and mental health? • What are the protective factors for mental disorders, suicide, and deliberate self-harm among SGM individuals? There are certainly a number of limitations worth noting with this study. First, it will be subject to a fair amount of selection bias, particularly so long as the only mode of participation is through an iPhone app. As Dr. Steven Chan pointed out, about 52% of Americans use Android devices and, even more impressively, 80% worldwide. Domestically, iPhone users skew towards higher socioeconomic status as well. Second, there will likely be challenges over time as the technology on which this study rests evolves. This a longitudinal cohort study that is looking at a timeframe of years, if not decades. What happens if Apple abandons ResearchKit two years from now? While I imagine that would be a solvable problem, something like that certainly has potential to cause significant disruption. A more simple challenge will be maintaining the app over time as operating systems and devices evolve, though that’ll be less of an issue so long as they don’t jump into the Android app world. 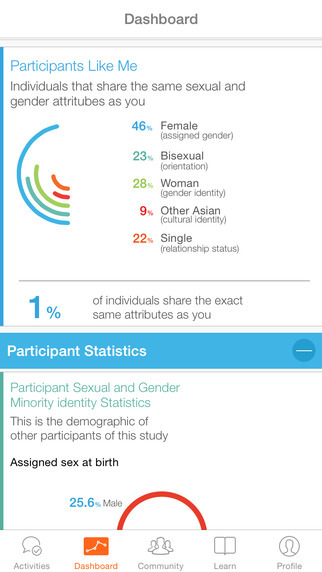 Finally, there will be the typical limitations with any survey based study (e.g. recall bias, loss to follow up, etc). Nonetheless, The PRIDE study is an important effort to use emerging tools to look at a historically under-represented population in healthcare research and do it in a way that won’t cost the NIH a boatload of money (if there was a boatload of money to be had). Studies like PRIDE and UCSF’s other big e-cohort study, Health e-Heart, are our modern Framingham and ARIC. Each approach has its own strengths and weaknesses but especially in an era where expensive prospective cohort studies are becoming untenable, these modern studies have a lot of potential to add to our understanding of health & disease.